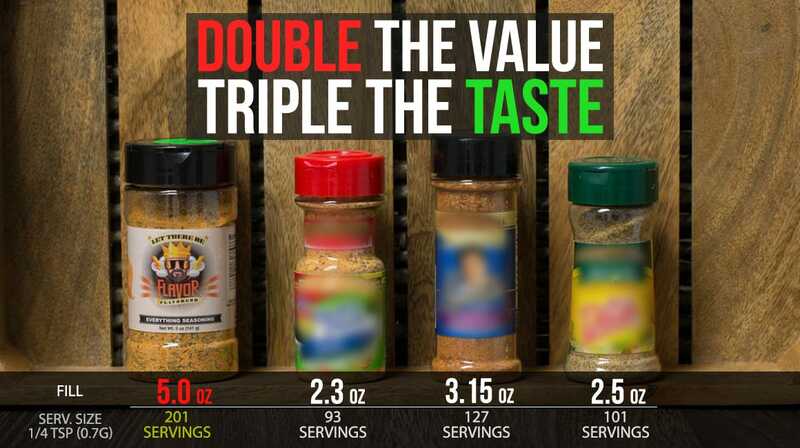 If you haven’t heard or seen them yet, you really need to check out Flavor God. 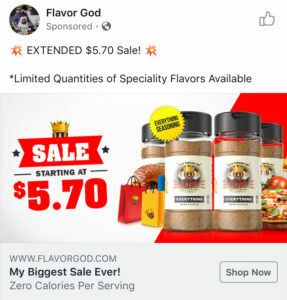 Flavor God is a seasoning company which is owned and operated by Christopher Wallace, who started making his seasonings in 2012. 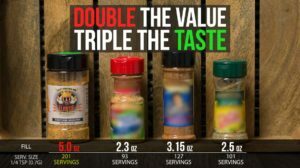 When Chris first started out, he was selling is seasonings at local farmers markets, and now, he is shipping his seasonings all over the world. Flavor God has perfected Instagram. Their content is valuable, intriguing, informative, funny, and looks absolutely delicious. Their strategy on Instagram is unique. They post around 3-5 times per day, and their posts are typically around 2 hours apart. With over 2.5 million followers on Instagram, each post gets thousands of likes. With Instagram’s algorithms, this strategy makes sense. Some posts work, some don’t, and when it comes to social media, there’s no real way to determine what’s going to work that day. Sure, there’s the occasional “hunch”, but nothing is guaranteed. By posting a wide variety of content multiple times a day at 2 hour intervals, they’re almost guaranteeing that they will pop up in your feed. That might seem annoying, but their content is good content, so it works! As for their Facebook and Twitter accounts, they don’t post as much. Facebook seems to be around once a week and Twitter appears to be even less. With 2.5 million followers on Instagram alone, they’re probably doing just fine utilizing one channel. Their website isn’t flashy, but when it comes to the e-commerce side, they absolutely nailed it! Their conversion rate optimization is so well done, that when you make a purchase, you leave thinking that you outsmarted them. Product Photography: The product photography is clean, simple, and shows a lot of value for the price. They even show you comparisons of their product versus their competition’s. Call to Actions: Their Call to Actions couldn’t be any better. They’re noticeable, easy to read, and relative. Product Pages: They do an amazing job at up-selling their other products. If you’re going to make a purchase, try your best to order just one product. They have a variety of up-selling options too. You can subscribe to save, earn free gifts at different price intervals, you can get free shipping, and/or get bundles for more savings. But wait, there’s more! When you add to cart, you get yet another option to opt in for more product. Customer Reviews: Not only do they have their customer reviews perfectly displayed, but they also have pictures of happy customers taking pictures with their purchase. This really helps in proving the authenticity of the review and that their customers are in fact happy. Online Chat: While you’re shopping around on their site, you get a chat notification that Chris himself is there to help you just in case you have any questions. Reduced Prices: Not only does it appear that you’re getting a lot of bang for your buck, but their prices have been reduced on a lot of their products which adds that sense of urgency so that you’ll make your purchase today. After playing around on their site and not placing an order, I received a retargeting advertisement on Facebook just a few hours later offering their “Biggest Sale Ever”. Just in case that all of the above still isn’t enough, they have a VIP that gives you access to next month’s flavors, discounts, and giveaways so that they can capture your email address for retargeting purposes. Will their marketing strategy work for everyone? Probably not, but it’s a good start. 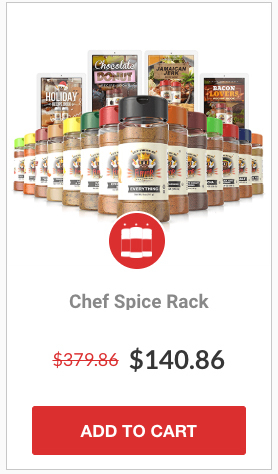 But, if you are looking to spice up (pun!) 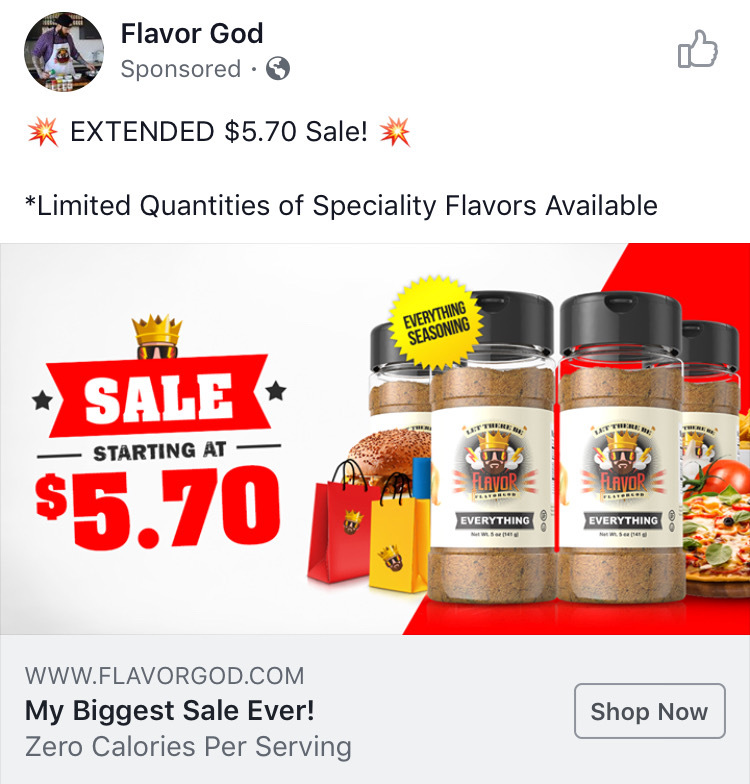 your own e-commerce marketing efforts, I highly recommend that you use Flavor God as inspiration. Their marketing strategy might seem easy, but I assure you that it’s not. Posting quality content four times a day on Instagram is a full time job itself.